Due to mailserver inconsistencies, with AOL we are unable to cater to new registrations using their email servers; I have suspended new registrations using aol email addresses. A few years ago when we looked into this, aol was a major isp here at GC and we had over 2,000 members who used it. Well I just ran a test and we only have 403 left who has not changed service from them. What this will do is not allow new aol address, but it will still allow the current members who use aol to continue. Thank you for your understanding.. The submissions are now on the forums, not the gallery and can be found by clicking here. For those who need help, On the top left you will see [add new image], fill out the subject and the description. At the bottom of the box you will see [image manager], click that and browse your computer for your photo. After you find it, click [add photo]. Image sizes must be under 1 MB (about 2500 pixels), if your photo is too large it will not appear. If that happens, you will need to resize your photo smaller. You can always check your photo prior to uploading by right clicking on your photo and click [properties]. To perform a search you can click the button in the header titled Active Search. Once you click that you will need to click the link search and the search page will come up. Search Page. As an example, let us say you want to know about mealworm farms. You can just type in the words 'mealworm farm' in the search box. Do not use the single quotes like I did. When I did that the search returned 17 pages of results and many of the results really had little to do with mealworm farms. Lets look at this a little closer. What I did was actually tell the search engine that I wanted to search for all posts with either the word 'mealworm' or the word 'farm' or both. So you see, I can get a lot of results that really don't have what I want. Let us try it again but entering the words a little different. Now I will enter the search words in the search box like this. '+mealworm +farm'. Don't use the single quotes but do put a little plus symbol in front of each word. This time I got only 3 pages of results and they are much more related to what I want. By entering a plus symbol in front of each word in the search words, you are telling the search engine that the result must include that word. So, I was telling it that I want to see all results for mealworm and farm instead of mealworm and/or farm. But, we can get it even a little more narrowed down if we want. By entering in my words enclosed with a double quote, I am telling the search engine I want to see all posts that contain exactly what I type in. So, I enter the word mealworm farm with the double quotes in the search box. This time I get 2 pages and the post contains the phrase mealworm farm. The limit of search is that you can only search up to three years back and the max number of results is currently at 600. We limit the searches because of server load. We have repeatedly told the members of GliderCENTRAL we do not want any drama being brought and posted here. Well for the most part some have listened, and others haven't and that is getting out of hand. Failing to abide by our requests are a violation of rule 4. Yes we all know there is drama everywhere. GliderCENTRAL will not be the mid grounds for everyone to post about the drama no matter what it is or who is saying it. GliderCENTRAL is here for one reason and one reason only, to help the gliders and their owners and nothing more. Drama only takes away from gliders and their owners who need help. We have asked many times to leave the drama off, but it seems that some are just not listening. So now whats going to happen now? If you make a post about the drama, feed into the drama posts, instead of hitting the notify mod button so the post can be reviewed and removed, your account will be suspended for a period of time to be determined by the admins. We do not care what drama anyone is saying about anything, the bottom line is do not post about the drama here at GliderCENTRAL. This is not being done to keep people from talking, it is being done because we do not want drama here. We are sorry to have to do this, but we tried to ask nicely but that failed. KarenE even made a similar post earlier today stating. Drama posts WILL result in the loss of posting privileges for a time to be determined by Administration. After 5 years we will try this one last time. We will be opening a new forum which will be found below the ClassifiedCENTRAL forums. It will be called RescueCENTRAL and will have a forum in there called Rescue Me. Things will be run a little different compared to how things are run in the classified forums. The biggest thing is, GliderCENTRAL WILL NOT get involved with any deals that may go bad. We WILL NOT get involved like we do with the classified alerts. The second thing that will be different is this section will not have the classified rules applied to it. There will be no pm's sent out for bumping as there will be no bumping rules. This forum will be moderated for every other rule we have at GliderCENTRAL. We hope that this works. This does not change our policy on having raffles, donations, etc for rescues here. You will still need to follow the rules. 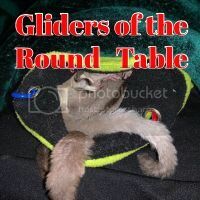 What we are doing here now is simply offering a place for rescued gliders to be listed so they may find new homes. Who knows what the future will bring, but for now we are taking this experimental step and depending on how things go, GliderCENTRAL may take more steps or step back from doing this. If it causes too much trouble or is not working out, we will remove it from GliderCENTRAL, and that will be our final attempt. We are leaving this one up to the community to decide if it will stay or be removed from GliderCENTRAL. We truly hope all will work out and it stays!! Rescues & Re homes will be treated as one in the same at GliderCENTRAL and are allowed to be posted in RescueCENTRAL. We have also discussed the question in regards to adoption fees and what not. What we have decided is that we are going to ask that no pricing is discussed on the open forums. So if you are listing gliders in RescueCENTRAL that need homes, please do not post any fees/shipping fees/or any cost what so ever, discuss this privately. If someone asks in your listing, please post saying to contact you or you'll contact them. Please remember if you are post a listing, that the glider(s) must be currently in your possession or it will be considered 3rd party and removed. With all the different things going on in the community recently, we feel we should let our members know where we stand, what we will tolerate, and what we will not. GliderCENTRAL is here to help gliders in any way we can. We are here for members when they need help and we continue to try and improve on this every day. Recent events have taken place that caused chaos not only here on GliderCENTRAL but throughout the entire glider community. We consider mill breeders/brokers to be equally to blame, one is no better than the other. However, we will not allow bashing of mill brokers or mill breeders. We do applaud the steps that some have taken in bridging the gap between the community and mill breeders/brokers. As we have stated, as long as changes are made to improve the care and information given for gliders from mill breeders/brokers, we will allow and even encourage productive discussions on this subject here on GliderCENTRAL. What we will not tolerate is those same people harassing or forcing their opinions on others by using what they call facts simply because they were told by a mill breeder/broker. Nor will the Owners of GliderCENTRAL work with a middle person or spokesperson for any mill broker/breeder. We are hopeful that efforts being made will help bridge the gap to improve the care for gliders that come from mill breeders/brokers. It does not matter who does what, as long as it gets done!! It is unrealistic to think that only one or two people will be responsible for accomplishing this goal and we will not allow this topic or any to become a vehicle for anyone to raise themselves above anyone else in this community. It will take the cooperation first and foremost of the mill breeders/brokers as well as the acceptance of those changes by the glider community. We strongly feel the millbreeders/brokers are in large part responsible for the majority of the overpopulation and poor breeding practices just to mention a couple of areas. GliderCENTRAL feels the best way to get results is for laws to be made and/or changed. This will set the standards and conditions under which gliders are bred and kept. These changes will be the most effective way to not only have standards enforced for the average breeder but also the mill breeders/brokers. If the mill breeders/brokers make changes before laws are set in place, wonderful, but the laws and/or standards do need to be set. We will not allow harassing or bullying, forcing ideologies on the members here under the guise of effecting change in the glider community. This will be grounds to find yourself locked out of your GliderCENTRAL account for a time to be determined by the Owners/Admin of GliderCENTRAL. The sooner everyone realizes that the issues at hand are bigger than any one person, group, or organization the quicker improvements can happen. If you notice any of this happening on GliderCENTRAL, please help us and use the notify moderator button to bring it to our attention. We try to read every post, but we do miss some and appreciate the help. Please use the notify moderator button instead of bickering within the threads. We would hate for any account to be suspended. There are proper ways of doing things and we are hoping this will be a first step in the right direction. We don't know why some feel they have the right or need to police the glider community, but here on GliderCENTRAL without real proof no one can including us. How many times do we have to state that classifieds are for ads not discussions? This is getting out of hand, how many times do we have to state use the notify mod button instead of replying so YOU do not get in trouble? Do we need to get rid of classifieds again or just ban all those from posting in classifieds who feel they need to post in there that have no intension of purchasing? We advise that everyone stay out of classifieds unless they are purchasing or selling. This will be the last time we say it, the next time someone makes an ad a discussion will lose classified privileges for a time to be determined by the admin or more. Enough is enough already. We have decided on a post number of 50. We think that 50 posts will give the seller/adoption home a good foundation of the users posts and get a feeling on the users intentions before selling or placing a glider in their care. We do understand that there are times when someone is new and comes here only to place their glider in classifieds. This will still be allowed, but in order for them to do so they will need to contact admin first, so we can make changes to allow them to post. A few things we have noticed and members have brought to our attention that need to be addressed. First WE would like to remind everyone that the same rules that are in place for the board also hold true for pm's. We have received a few complaints for abuse of the pm system. After a member gives us permission to their pm's we will review the manner of offense and deal with it accordingly. Now we have also received complaints where the person complaining is the one who caused the issue that lead to the offense. These members will be dealt with accordingly as well. A few have questioned why posts have been removed. It is simple, it is violating rules. The same rules that were agreed on when each of us registered. Unfortunately some good threads can be left, but sometimes staff may not have the time to edit all of the offending posts. GliderCENTRAL is a place to learn and help others. GliderCENTRAL is not the place to belittle someone's thoughts, beliefs, ethics, etc. This falls under rules 4 & 5. We have been questioned for a few posts lately saying good info was in a post. Well this is not true, the only thing in there was posts against the posters actions and ethics. The subject was all he said she said stuff. This is against rule 5. Now I will say there are many things that have been said that I do agree on, but... they are breaking the rules. I am a member here first before I am an admin along with the rest of the staff. We do at times feel the same things you do, but due to our agreements on the rules we do not violate them as we expect others to do the same. We are all passionate about our gliders as well as other gliders well being. Unfortunately that passion may cause a user to cross the line and may result in a suspension from GC. All we ask is that you keep your passion within the rules, if someone else snaps back please do not retaliate. Notify a staff member instead. More often then not it is the replier who gets themselves in trouble instead of the other person and results in a warning or worse. As I have mentioned, GliderCENTRAL is not the place for this. There are a few boards out on the web that will allow you to vent and express yourself without the constriction of GliderCENTRAL rules. That is a great thing, as we all need to vent at times and here may not be the right place to do so. We honestly and truly hate having to warn, suspend, or ban people. But when a user leaves us no other option we have to act. Yes sometimes they are expressing themselves, but they crossed the line. There are many ways to express yourself without harassing, belittling, or flamming others. Specifically #1. This means all posts, images, comments, pm's, etc. cannot be copied, screen shots, and reproduced in anyway without the written approval from the owners or it is considered copyright infringement. If you do need to do something like this, please get permission first. If you have any questions, please feel free to contact me or any Admin. On another note, once or twice a year when you log into GliderCENTRAL you will be prompted with the rules page. You will have to check a check box stating that you agree with the rules or you will not be permitted to log into GliderCENTRAL. When we see there is a need, and it is time to start thinking about adding more moderators or replacing some who may have left, we start the process by asking the current moderators if they have noticed anyone they think should be considered based on that person's activity on the board i.e. where they post and how they post. We then take all these recommendations into consideration. It is not based on post count or how long someone has been on the board. What we look at in moderator canidates.